The first 3D Printed iPhone 5 Bumper designed to account for differences in outside temperatures that can make other 3D printed bumpers looser and tighter. 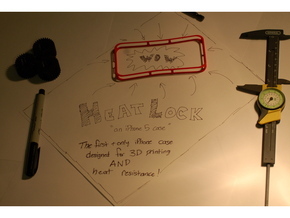 HeatLock is designed to be too small for your iPhone 5, which may sound strange, but is actually a revolutionary concept. As the bumper gets hotter, the plastic nylon it is made out of will expand, causing the bumper to get bigger. If the bumper starts too small for the phone, you could heat it up enough to get the case on, then as it cools it will fit perfectly. 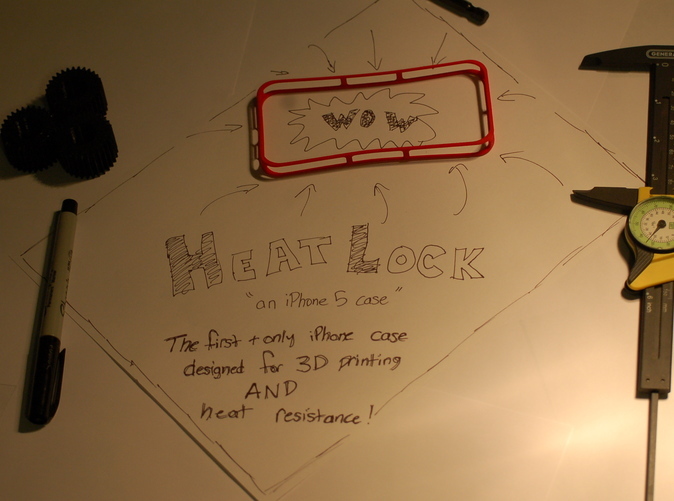 When your case arrives simply heat it up with a blow dryer or heat gun for a few seconds to expand the plastic. Slip the case on and allow a few minutes for it to cool off. The case should shrink down so that it is snug to your phone. 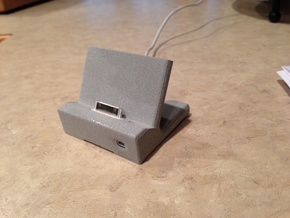 Prototyping is complete! 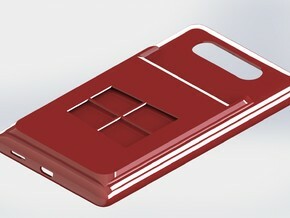 Model will fit very snug on an iPhone 5 after heating! To undo case, reverse process. 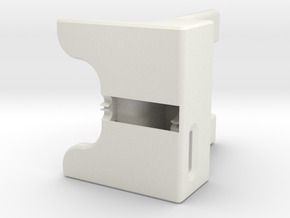 iPhone will not be damaged by added heat; however, Shapeways nor SolidWorks Tech Designs assumes responsibility for any damage done to your iPhone. 10/14/2012 : Model complete. Anylasis inside SolidWorks with an iPhone 5 model confirms all sides overlap iPhone by about 1/30th of its width and height. Holes should align after heating and cooling. Model uploaded. 10/24/12: Model recieved, inaccuracies corrected. Overall size increases and hole location changes. Overall width increased. Ordered another prototype to test new changes. 11/13/12: 2nd Version received. Model is correct and will now work with a slight heat. Model price increased- no longer in prototype. Please order this case if you are slightly interested and let me know how it turns out! Feel free to DM any messages or questions you may have about design. Stay tuned for future updates!